Cidl, creatinine ctaarancc. "Eerum saltyiate levels should bemonilo<edfai doses greater than igMsy: Total daily dose ofl diclofenac It gel should nol ewceed 32 g lor at after, ted joints. Acetaminophen should initially be administered on an as-needed basis in doses up to 4 g daily. However, some patients may require scheduled dosing to achieve adequate pain relief. Periodic assessment of pain control should be performed to maintain the lowest effective dose. A common reason for an inadequate response to acetaminophen is failure to use a sufficient dose for an adequate duration. A sufficient trial is defined as up to 4 g daily in divided doses for 4 to 6 weeks. 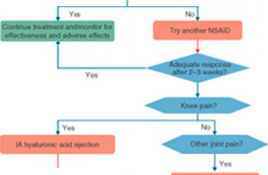 sociated with NSAID use. Monitoring specifically for these toxicities generally is unnecessary. Prostaglandins play an important role in the function of several organ systems. These compounds are synthesized via the interaction of two isoforms of the cyclooxygenase enzyme (COX-1 and COX-2) with their substrate, arachidonic acid (Fig. 58-3). The COX-1 enzyme is produced normally in various body tissues (e.g., gastric mucosa, kidney, and platelets). Prostaglandins produced by the actions of the COX-1 enzyme in the GI tract preserve the integrity of the GI mucosa by increasing mucus and bicarbonate secretion, maintaining mucosal blood flow, and decreasing gastric acid secretion. COX-1-associated prostaglandins also promote normal platelet activity and function. In the kidney, COX-1-mediated prostaglandins dilate the afferent arteriole, thereby maintaining intraglomerular pressure and glomerular filtration rate when renal blood flow is reduced. ory effects. The beneficial effects of NSAIDs in reducing pain, decreasing joint stiffness, and improving function in patients with OA are thought to be due to inhibition of the COX-2 isoenzyme. Most NSAIDs (e.g., ibuprofen, naproxen, and others) inhibit both COX-1 and COX-2 isoforms. That is, they are nonselective inhibitors of the COX enzyme system. 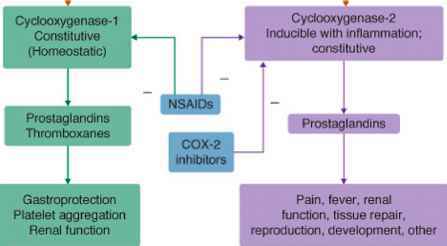 Inhibition of COX-2 is responsible for analgesic effects, whereas inhibition of COX-1 is responsible for the most common adverse effects of NSAIDs. COX-2-selective inhibitors were developed in attempts to preserve the beneficial effects of COX-2 inhibition while avoiding the deleterious effects associated with inhibition of the COX-1 enzyme. This approach has not been entirely successful, as discussed below. peripheral joint inflammation, and therefore less effective. Consensus guidelines support the use of NSAIDs as an alternative to acetaminophen if clinical features of peripheral inflammation or severe pain are present.14,15 Unfortunately, there is no validated mechanism to identify patients who are more likely to respond to NSAIDs than acetaminophen. NSAIDs and aspirin are similar. The selection of a specific NSAID should be based on tolerability, previous response, and cost. Some patients respond to one NSAID better than to another. If an insufficient response is achieved with one NSAID, another agent from the same or a different chemical class should be tried. There is no convincing evidence that changing to an NSAID from a different chemical class is more likely to be effective than selecting another drug from the same chemical class. Pain relief occurs rapidly (within hours), but anti-inflammatory benefits are not realized until after 2 to 3 weeks of continuous therapy. This period is the minimal duration that should be considered an adequate NSAID trial. Several risk factors predict a greater likelihood of GI complications in NSAID-treated patients (see Chap. 18). It is not possible to detect high-risk patients based on symptoms alone because there is poor correlation between the presence of symptoms and actual gastroduodenal damage. Patients at high risk for GI complications should be evaluated for the use of a COX-2-selective NSAID or concomitant treatment with a prophylactic gastroprotective agent such as a proton pump inhibitor or misoprostol. However, these strategies do not completely mitigate the risk of GI complications. NSAIDs can cause renal insufficiency when administered to patients whose renal function depends on prostaglandins. Patients with chronic renal insufficiency or left ventricular dysfunction, the elderly, and those receiving diuretics or drugs that interfere with the renin-angiotensin system are particularly susceptible. Decreased glomerular filtration also may cause hyperkalemia. NSAIDs rarely cause tubuloint-erstitial nephropathy and renal papillary necrosis. Caution is warranted in pregnant women and women of childbearing age because the risk of bleeding may be increased if the fetus is subjected to the antiplatelet activity of NSAIDs. Ibuprofen and naproxen are rated FDA pregnancy category B in the first and second trimesters. Indomethacin and sulindac have not been rated, whereas celecoxib and etodolac are category C. NSAIDs are contraindicated during the third trimester because they may promote premature closure of the ductus arteriosus in the fetus. NSAIDs are prone to drug interactions due to high protein binding, detrimental renal effects, and antiplatelet activity. Interactions are encountered frequently with aspirin, warfarin, oral hypoglycemics, antihypertensives, angiotensin-converting enzyme (ACE) inhibitors, angiotensin-receptor blockers (ARBs), ^-blockers, diuretics, and lithium. When an interaction with an NSAID is present, vigilant monitoring is warranted for therapeutic efficacy (e.g., NSAIDs blunt the antihypertensive efficacy of diuretics) and adverse effects (e.g., NSAIDs increase the risk of bleeding in antico-agulated patients). Fig. 58-3).25 A common misconception is that COX-2 inhibitors are more effective than nonselective NSAIDs in relieving pain and inflammation. In clinical trials, patients experienced similar levels ofpain relief with COX-2 inhibitors and nonselect-ive NSAIDs. This is to be expected since both drug classes inhibit the COX-2 enzyme, which is responsible for producing prostaglandins that result in pain and inflammation. Celecoxib is the only agent currently marketed in the United States that is considered a true COX-2-selective inhibitor. However, meloxicam, sulindac, and diclofenac also display preferential affinity for the COX-2 isozyme. Celecoxib reduces endoscopically detected GI lesions. However, the clinical importance of this observation has been challenged because many of these lesions are clinically silent and resolve spontaneously. Celecoxib did not reduce the incidence of significant upper GI toxicity compared with NSAIDs in a large clinical trial.26 However, this study allowed patients to take concomitant low-dose aspirin. A post hoc analysis in patients who did not take aspirin revealed celecoxib to be effective in reducing significant upper GI toxicity. The advent of COX-2-selective inhibitors has led to unexpected results. By selectively inhibiting the COX-2 isoform, COX-2-selective NSAIDs may increase the risk of cardiovascular events in certain patients.29 COX-2 is responsible for the production of prostacyclin, a vasodilatory and antiplatelet substance. In contrast, COX-1 controls the production of thromboxane A2, a vasoconstrictor and platelet aggregator. Selective inhibition of COX-2 results in decreased prostacyclin levels in the face of stable thromboxane A2levels. An imbalance in the thromboxane A2: prostacyclin ratio ensues, which creates an environment that favors thrombosis. 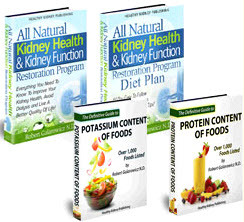 The COX-2 enzyme is also produced normally in the kidney; thus COX-2 inhibitors exert renal effects similar to those of conventional NSAIDs. Both drug classes may increase sodium reabsorption and fluid retention and can provoke renal insuffi ciency and hyperkalemia. COX-2 inhibitors should be used with caution in patients with heart failure or hypertension. COX-2 inhibitors are susceptible to the same drug interactions as nonselective agents. However, the interaction with warfarin is less pronounced because platelet function is affected to a lesser degree. effect is not clear. Glucosamine is not effective for treating acute pain; beneficial effects often mature over a period of weeks. Because these agents are loosely regulated in the United States as dietary supplements, product standards are inconsistent, and the constituents are not validated by any regulatory agency. benefit of glucosamine, chondroitin sulfate, or the combination over placebo. osamine hydrochloride versus sulfate), and the comparator agents (celecoxib versus acetaminophen). Based on the available data, it appears that glucosamine and chon-droitin may be effective for some patients with OA of the knee. period and low number of participants may account for these negative findings. Blood glucose levels in diabetic patients should be monitored closely after glucosa-mine initiation or dosage adjustments. Given the favorable safety profile of glucosa-mine and chondroitin, it is reasonable to present these agents as a treatment option to patients with symptomatic knee OA in the absence of contraindicating factors. © Intra-articular injection ofcorticosteroids or hyaluronan represents an alternative to oral agents for the treatment ofjoint pain3 These modalities usually are reserved for patients unresponsive to other treatments because of the relative invasiveness of intra-articular injections compared with oral drugs, the small risk of infection, and the cost of the procedure. The mechanism of action of hyaluronan is not fully understood. Healthy cartilage and synovial fluid are replete with hyaluronic acid, a viscous substance believed to facilitate lubrication and shock absorbency under varying conditions of load bearing. Patients with OA demonstrate an absolute and functional decline in hyaluronic acid; thus exogenous administration is referred to as viscosupplementation. In responders, the benefit of hyaluronan administration persists for periods that exceed its residence time in the synovium, suggesting that benefits beyond viscoelasticity are involved. Inhibition of inflammatory mediators and cartilage degradation, stimulation of the cartilage matrix, neuroprotective actions, and the ability of hyaluronan to induce its own synthesis may account in part for the benefit. Several formulations of hyaluronan are available for the treatment of knee pain in patients with OA who are unresponsive to other measures. Administration typically consists of weekly injections for 3 to 5 weeks and is well tolerated, although some patients may report local reactions. Rarely, postinjection flares and anaphylaxis have been reported. Intra-articular injection is associated with a low risk of infection (approximately 1 joint in 50,000 injections). Patients should be counseled to minimize activity and stress on the joint for several days after each injection. Use of systemic corticosteroids is discouraged in patients with OA. However, in a subset of patients with an inflammatory component or knee effusion involving one or two joints, intra-articular corticosteroids can be useful as monotherapy or as an adjunct to analgesics. The affected joint can be aspirated and subsequently injected with a corticosteroid. The aspirate should be examined for the presence of crystalline formation and infection. A single joint should not be injected more than three to five times per year. The crystalline nature of corticosteroid suspensions can provoke a postinjection flare in some patients. The ensuing flare mimics the flare of arthritis and inflammation that accompanies infection. Cold compresses and analgesics are recommended to treat symptoms in affected patients. Use of opioid analgesics may be warranted when pain is unresponsive to other pharmacologic agents or when such agents are contraindicated. Tramadol is a centrally acting synthetic opioid oral analgesic that also weakly inhibits the reuptake of serotonin and norepinephrine. It is effective for treatment of moderate pain but is devoid of anti-inflammatory activity. There is a low potential for abuse compared with conventional opioid analgesics, and tramadol is not scheduled as a controlled substance in the United States. Tramadol is a reasonable option for patients with contraindications to NSAIDs or failure to respond to other oral therapies. For the treatment of hip or knee OA, tramadol is as effective as NSAIDs. The addition of tramadol to NSAIDs or acetaminophen may augment the analgesic effects of a failing regimen, thereby securing sufficient pain relief in some patients. Moreover, concomitant tramadol may permit the use of lower NSAID doses. 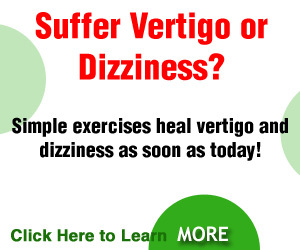 Dizziness, vertigo, nausea, vomiting, constipation, and lethargy are all relatively common adverse events. These effects are more pronounced for several days after initiation and following upward dose titration. Seizures have been reported rarely; the risk is dose-related and appears to increase with concomitant use of antidepressants, such as tricyclic antidepressants or selective serotonin reuptake inhibitors. Tramadol should be avoided in patients receiving monoamine oxidase (MAO) inhibitors because tramadol inhibits the uptake of norepinephrine and serotonin. strategies. Opioids also may be useful in patients with conditions that preclude the use of NSAIDs, such as renal failure, heart failure, or anticoagulation. Opioid analgesics should be initiated at low doses in combination with acetaminophen or an NSAID when possible. Combining opioids with other analgesics reduces the opioid requirement, thereby minimizing adverse events. Conservative initial doses are warranted, with the dose titrated to adequate response with minimal side effects. Oxycodone is the most extensively studied of the opioids recommended for OA. However, other agents such as morphine, hydromorphone, methadone, and transdermal fentanyl are also effective.43 The American Pain Society (APS) recommends against using codeine and propoxyphene for OA because of the high incidence of adverse effects and limited analgesic effectiveness. If opioid therapy is considered, there should be an initial comprehensive medical history and physical examination, firm documentation that nonopioid therapy has failed, clearly defined treatment goals, an understanding between the provider and the patient of the true benefits and risks of long-term opioids, use of a single provider and pharmacy whenever possible, and comprehensive follow-up. Topical analgesics sometimes are used for mild pain or as an adjunct to systemic therapy. There are limited data to support the use of salicylate-containing rubefacients (e.g., methyl salicylate and trolamine salicylate) or other counterirritants (e.g., menthol, camphor, and methyl nicotinate) in OA.44 See for more informa tion on these products when used for musculoskeletal disorders. Capsaicin achieves pain relief by depleting substance P from sensory neurons in the spine, thereby decreasing pain transmission. Capsaicin is not effective for acute pain; up to 2 weeks may be necessary before pain relief is appreciated. Most patients experience a local burning sensation at the site of application. The discomfort usually does not result in discontinuation and often abates within the first week. Patients should be cautioned not to allow capsaicin to come into contact with eyes or mucous membranes and to wash their hands after each application. Topical NSAID preparations are effective for treating OA involving the superficial joints of the hands, wrists, elbows, knees, ankles, or feet. 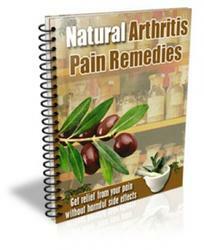 Administration via a topical vehicle targets the joints involved and decreases systemic exposure. This may be an attractive option for patients at risk of developing adverse events from oral NSAIDs. Diclofenac sodium topical gel 1% (Voltaren Gel) is available in the United States; its approval was based on two clinical trials that found decreased pain and improved joint function in patients with hand or knee OA.45,46 Systemic absorption of topical diclofenac sodium is ~17 times lower than that seen with oral diclofenac. Thus, GI, cardiovascular and renal adverse effects would not be expected with proper administration. The most common adverse effects include application site dermatitis, pruritus, and phototoxicity.